I've been talking to the dogs, and there are some things they would like you to know! 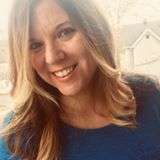 Michelle Douglas of The Refined Canine, LLC will be providing insights into the quirky things that dogs do that you have always wondered about, as well as giving you a view of your dog's perspective of the world. We will cover: How dogs perceive the world around them, how they try to communicate with us, and why those weird things they do makes sense. This will help you better understand your dog, and can help to bring your relationship to a closer level.